between February 1 - April 30, 2013. 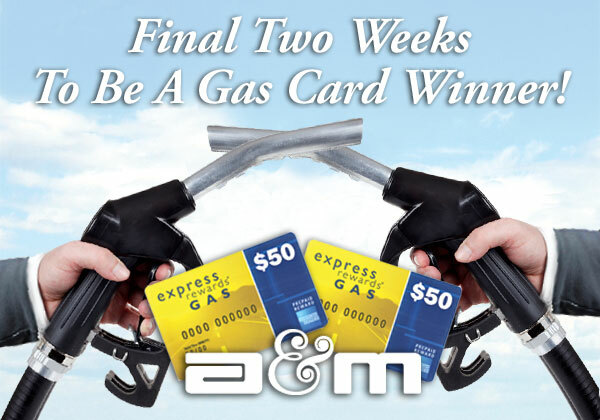 A&M will be awarding 20 more American Express $50 gas cards from February 1 to April 30, 2013. All you need to do to be eligible is to bind one new commercial or personal lines account from February to April. The winners will be selected on May 1.